Located in Tarrant County, just to the west of Dallas, Fort Worth is the fifth biggest city in all of Texas and one of the best places to visit in the Lone Star State. Home to around 875,000 people, Fort Worth has a rich history dating all the way back to 1849. It was originally founded as a military installation on the Trinity River but has grown and evolved over time to become a vibrant, exciting city with many industries and lots of interesting landmarks. Featuring many examples of traditional Western architecture, outstanding museums, excellent attractions, and so much more, Fort Worth is a must-visit location on any road trip or RV tour of Texas. One of the state's best theme parks, Six Flags Over Texas, can be found in Forth Worth, with the city also being home to the Fort Worth Zoo, the Fort Worth Water Gardens, the Fort Worth Botanic Gardens, the Kimbell Art Museum, the Stockyards Station historic district, and so much more. If you're planning on visiting Fort Worth and enjoying all of the city's many sites of interest and attractions, read on to learn all about the best RV parks in Fort Worth, complete with detailed descriptions of the features and amenities you can find at each location, as well as addresses and contact details to help you book up your next trip. There are plenty of beautiful lakes and waterways to be found in the Fort Worth area, but what if you could enjoy one of those lakes every single day and night? That's exactly what you'll find at Lakeview RV, located in a key area, not far from the center of the city. As the name indicates, this RV park is situated right on the banks of a gorgeous lake, offering a super spot for fishing, walking along in the evenings, or simply admiring the views, especially in the evenings when the sun starts to go down. A highly affordable RV park with plenty to offer, Lakeview RV features paved streets for your convenience, large RV spaces with lots of shade to keep your motor home cool, private lawns, a very peaceful setting, a large laundry area with lots of coin operated washers and dryers to keep all your clothes and other materials clean and fresh, private mailboxes, full on-site management so there's always someone around if you need any help, and high speed Wi-Fi internet access. This is a pet friendly RV park too, with a limit of two dogs per RV and the simple rule that dogs need to be kept on leashes for the safety and comfort of other guests. By far one of the very best rated RV parks in all of Fort Worth, Avondale RV Park is situated in a peaceful spot in the northern side of the city. This RV park offers the advantages of a calm, quiet location, while still only being a short drive away from all the main attractions and popular restaurants that have made Fort Worth such a great city. You can be in the Downtown district in a matter of minutes from this Fort Worth RV park and then head back to the peace and quiet of its prime location whenever you need to get away from the hustle and bustle of the city streets. There are actually two Avondale RV parks, with one being located on US Hwy 287 and the other being at 252 County Road 4838, Haslet. Both offer the same great standards of quality, so if one is fully booked then you can simply head over to the other. 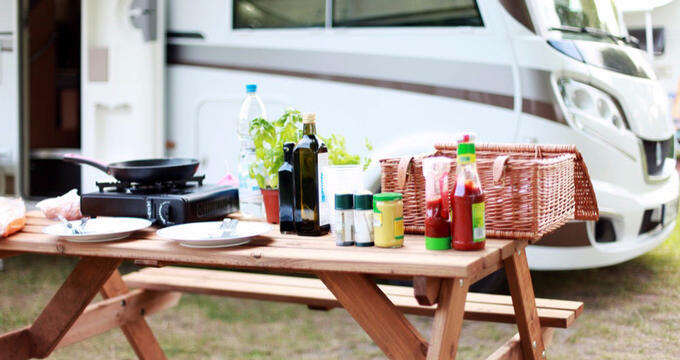 These highly rated RV parks feature concrete pads, spacious RV sites, quick access to Eagle Mountain Lake and the Texas Motor Speedway, and plenty of useful amenities like restrooms, showers, shady spots for picnics, and more. Rates start at just $30 per day at Avondale RV Park, rising to $175 for a weekly stay or $350-450 for a monthly stay if you're planning on spending a longer period of time in the Fort Worth area. There's nothing quite like spending some time by a lake, admiring the reflections in the shimmering surface of the water and feeling totally at peace at any time of day or night. That's the sort of experience you'll be able to enjoy at Lake Worth RV Ranch. Located on Jacksboro Highway in the western side of the city, only minutes away from all the major attractions of Downtown Fort Worth, this RV park has stood the test of time to establish itself as one of the best RV locations in the whole area. Offering spacious RV sites with a lot of room to cater to all kinds of motor home, Lake Worth RV Ranch is located right on the banks of a picturesque lake. It's a perfect setting for everything from family vacations to romantic getaways, with the scenic backdrop of the lake helping to make each stay extra special. It's important to note, however, that this is a long-term RV park only, so you'll need to stay at least a month here. Rates begin at only $450 and this is a no-frills RV park too, meaning you won't find any restrooms or showers here but you will get full hook-up sites, free internet, and access to laundry machines.